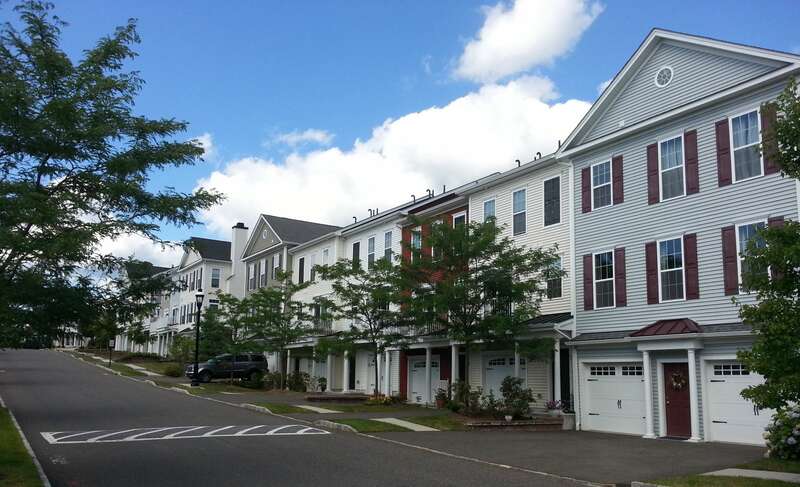 Rivington Condominiums, located in Danbury, Connecticut is a Toll Brothers complex of 321 acres of manicured common areas and top quality homes. Newly built in 2007, these condominiums feature an open floor plan. There are seven rooms consisting of three bedrooms and two and one half baths. The living and dining area features crown molding, large windows, and recessed lighting. Off the living room is a deck with gorgeous views. The master bedroom suite also with wall to wall carpets has a tray ceiling and a marble floored bathroom with top of the line fixtures, Jacuzzi tub, and open shower. The townhouses have hot air heat and central air conditioning so that no matter what the weather you will be comfortable. The extra large eat-in kitchen has a center island with granite countertops, custom cherry cabinets, built in microwave oven, tile flooring, and top of the line appliances. Your two car attached garage provides extra storage space. Rivington offers a pool, tennis courts, a clubhouse and beautiful manicured grounds. Your home is located close to downtown Danbury but also close to the Danbury Mall with its department and specialty shops. Ten minutes brings you to Route 84 a major East/West Freeway and to Route 7 which takes you south to Ridgefield, Wilton and Stamford a major shopping area. Danbury is the last stop on a branch of the railroad which will take you to New York City although it is a long commute. A short drive North will give you access to open space and State Parks with miles of hiking trails and rivers where you can kayak and fish.